Patrick Mercer is under 40 in the top 40 in San Diego for real estate. He has been in the business for three and a half years and has just turned 28. 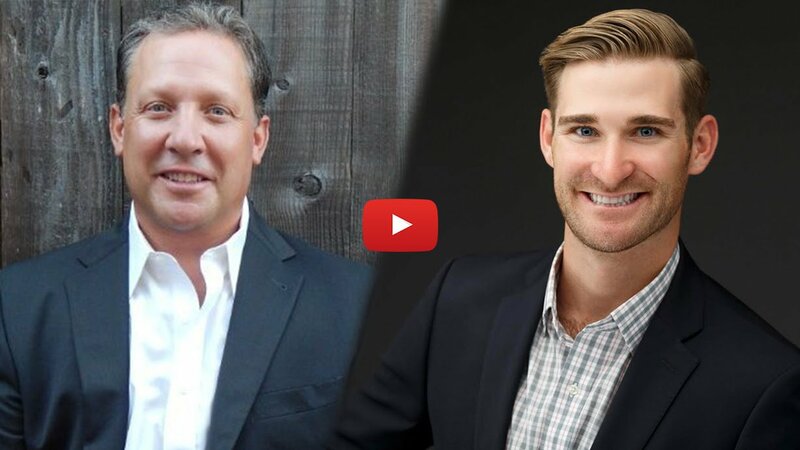 He never had a salary or hourly job before getting into real estate – he only took jobs he knew where there was a next move or that were commission based. Since he was a child he knew real estate was what he was going to do because his family has been in the real estate business his entire life. To learn the ins and outs of real estate he started with residential properties because it was a turn and burn as opposed to commercial deals where it takes three years to get an apartment building. Patrick’s goal is to meet as many people and get in front of as many people as possible. As he gets older and gets better at sales he knows he will convert more. He has brought an administrator on board who now helps him with his day to day, his marketing and any other tasks. This frees up his time to go out and get the business. Being a single guy with no kids at the moment Patrick is very career focused because he knows he can build something where he can eventually step out of the business later in his life. He rises at 5:30am and enjoys his quiet morning making breakfast and is in the office by 8am at the latest. Although many agents will have a time during the night or day where they shut off phone calls Patrick works 24/7 because that is the stage he’s at in his business. Currently, he is looking to grow his team and have his team be very lean. He is currently replacing the administrative side of things, so he can just focus on being a rainmaker. He sees other agents going out there and hiring a bunch of buyer’s agents and before they know it they are up to 15-20 buyer’s agents with $30k a month in fees going to Realtor.com, Zillow etc. just to feed all their buyer’s agents. Patrick has no desire to build his team this way. Instead he wants more administrative help, so he just goes on the appointments and then his administrative assistants take it from there. Most agents when they get their paycheck they may take that check and go on vacation instead of putting it back into their business. What he does is take that check and see how little he can survive off of and puts the rest of the check back into his business using direct mail and digital campaigns. When Patrick first got started he originally didn’t start with his parents company because he knew he needed additional training, so he went with Keller Williams. He highly recommends Keller Williams training to start. At Keller Williams he was able to learn about coaching programs like MAPs that provide you with accountability and skills to build a business. Once he branched out on his own he went into Tom Ferry’s coaching program. Every Friday he’ll sit down with his coach for 45 minutes to get a good look at the big picture. This helps him see what he needs to do to grow his business further. For instance, his coach has already hired people for his team, so he helped Patrick through the process of hiring his first assistant. Although a lot of homeowners will list their home based on their current relationships, Patrick has won a lot of listing presentations based on the fact that he will go the extra mile for his clients. His clients know he is in it for the long haul and they also know he spends money on his business, which in turn spends money to market their house. Every time Patrick gets a listing he expects to get two additional listings from that listing because he’s investing in direct mail and digital campaigns to market their home and help them find buyers instead of just sitting around hoping the house sells. From a business standpoint this is how he gets more sellers. What’s great for Patrick is there are direct mail marketing pieces going out every two weeks for him, so he’s constantly in front of other people’s faces when he’s marketing his seller’s home. “The Neighborhood Connection is an amazing platform for me. It helps me create a magazine using only an hour of my time a month. I knew that The Neighborhood Connection would be a piece of my puzzle for my farm. Let’s say I send out the magazine on January 15th, well in February I’m sending out a letter to follow up about the magazine that I sent out in January. The other piece of the puzzle is I give out free ad space in my magazine to my CPA and financial planner because they give me referrals. Not only that but this will give them more business and help out other people who may be looking for a CPA or financial planner. For his past clients he’s created a 24 touch point system. For instance, when tax season hits in April he’ll send out their HUD statement from their closing, so they can just hand that to their CPA. Patrick has many other touches like this that are outside of the box to provide his clients with more value. “There’s tens of thousands of other agents they can call, so this is why it’s important for me to provide the most value and work hard for them, so they come to me in the future.